Ever wondered about how to get fast relief from the cold sore or fever blister, naturally and easily without having to take medicines? Well cold sore or fever blister is a kind of virus infection caused by herpes simplex. In most cases, it get cleared automatically without taking medicines in 7-10 days. But did you know that there are simple basic home ingredients like tea tree oil, lemon balm oil, eucalyptus oil, milk etc that can be used as a remedy to cure and get rid of cold sore or fever blister overnight naturally? If you are suffering from the symptoms of cold sore and wondering about how to get quick and fast relief from it, then here’s the post worth checking. 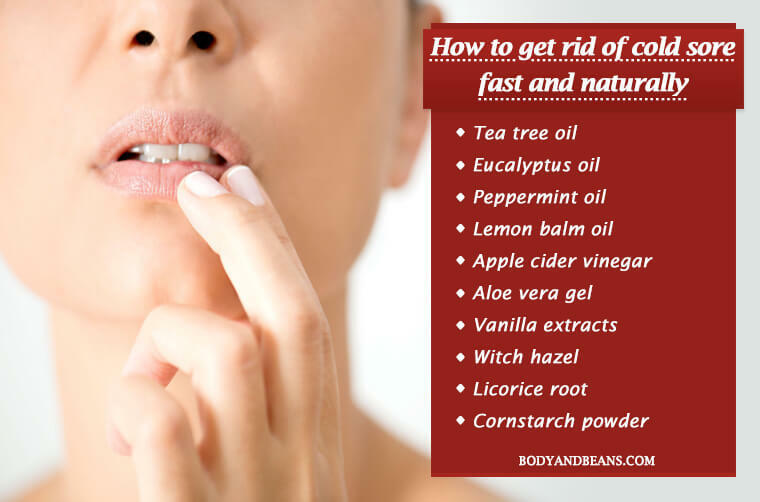 Today I am talking about several easy to apply, natural home remedies that’ll help you get rid of cold sore fast and easily. Many a times you get up in the morning and notice a pimple or bump on your lips. In most cases, these go away without troubling too much but, in some cases, it stays longer, thereby making things difficult for you. Besides making your face look ugly, big blisters cause lot of disturbances especially when you have your meals which are certainly not a good thing. However, these things normally happen when you got a stubborn pimple near your lips. But there are times when you may also experience a strong burning sensation on your lips (mostly lower lips) or may feel like itching the area too much which if you do will worsen the blister. That is when you must start worrying because it is not a simple blister or bump or pimple but in all probability, a cold sore or a fever blister. And, if it really is a cold sore in your case, then it is really frustrating and the faster you get rid of it, the better for you. Now, before you consider taking medical help, you can also try out some useful natural ingredients as there are many easy and natural remedies to get rid of cold sore fast and easily. These methods are not just super easy but also are safe and very cost effective. The ingredients used in these remedies are easily available in market and most of the time; you may have them in your home. So you can start with the cure of your cold sore the moment you notice it. This will give you really fast benefits and you will not have to suffer much. The cold sore, in many cases is referred as a fever blister when you develop small blister like lesions or small sore inside your mouth, or on your face. These lesions can also develop on your cheeks, chin, inside your nose and nostrils, gums, lips, and also on the palate at times. During the first-time outbreaks, some individuals experience fever, headaches, sore throats, painful eroded gums, muscle aches and swollen lymph nodes. So, if you experience all of these symptoms, then you can actually become sure that it is a cold sore or a fever blister which is slowly getting worse. Most of the time the cold sores or the fever blisters are caused by Herpes Simplex Virus, so obviously they are highly contagious and may spread from one person to another when there is close contact with the infected individual. Hence, you must treat the problem at your earliest and save yourself from the pain. You can obviously refer to these home remedies to get rid of cold sore (fever blister) fast and naturally because these remedies will help you with quick and effective healing benefits and will not allow the situation to worsen any further. However, apart from the virus, there are some other causes as well that triggers the occurrence of cold sores. At times, even though they do not directly lead to the cold sore but they can aggravate the problem to a good extent. So, you have to be very careful. The problem of cold sore cannot be taken lightly and remedies must be taken immediately once you identify the symptoms. So, are you ready to know about how to get rid of cold sores fast and naturally? I think you are, so let us begin with today’s topic of discussion without delaying any further. Cold sores, if not treated in the initial stages can take a serious turn and lead to other health complications. So it’s always better if you take actions to get rid of cold sores immediately after finding the symptoms. Listed below are the best home remedies that will help you to get rid of cold sores or fever blisters fast and naturally. The first remedy that I would like to recommend you is tea tree oil. You must have an idea that essential oils are great and they serve a lot of our purposes and for your cold sore issues, tea tree oil will work magically. The primary reason why tea tree oils work great against cold sore is because it has got antimicrobial properties which will help your body combat the virus and lead to a speedy recovery. The tea tree oil remedy to get rid of cold sore is very easy and simple. You need to take a few drops of tea tree oil and dab a cotton ball in it and then apply it directly on your cold sore. If you repeat it couple of times in a day, you will see the results within 24 hours. The cold sore will slowly dry up and eventually disappear. Just make sure to not take too much of tea tree oil, just a bit of it should work well. One of the other easy to apply yet most effective remedies to get rid of a cold sore or fever blister is by using the eucalyptus oil. Studies have already shown eucalyptus oil to possess anti-viral characteristics which helps in killing of the Herpes simplex virus, which primarily is the main reason behind the occurrence of cold sores. So, do use this oil to get fast benefits in cold sore. The best way to use eucalyptus oil to treat sold soil is to dab a cotton ball in eucalyptus oil and apply it directly on your cold sore. For maximum benefits, you may repeat the remedy in a gap of a couple of hours, multiple times a day. Give it a try and you will not be disappointed with the results. There is oil which can give you huge benefits as far as cold sore is concerned and that is lemon balm oil. The main reason behind that is that, it has got anti-viral properties and is capable of treating the wounds very fast. It will fight the infection-causing virus and will help you get fast relief from the cold sore. Take a cotton ball and soak it in some lemon balm oil and then directly apply it on your cold sore. Keep it for some time and then remove it. Alternatively, you may even brew some lemon balm herbal tea and then drink it daily. As far as the application of the lemon balm oil goes, you can apply it around 3 times on a daily basis to treat cold sore. You can definitely count on the benefits of peppermint oil to treat cold sore quickly. This is because, peppermint oil has antiviral properties which will help fight the virus fast and treat the sore as fast as possible. Moreover, peppermint oil is also rich in methanol which makes the peppermint oil a safe and even better healing agent. Take some peppermint oil and soak a cotton pad in it. After that, apply it directly on your cold sore. Apply it at least three times a day to get rid of cold sore easily. One of the other easiest and natural ways to get rid of cold sore (fever blister) fast and easily is by using the ice remedy. Ice is very effective against irritations and in this case, it will help in reducing the inflammation and lead to fast healing of the cold sore. Side by side, ice will also reduce the burning sensation and soothe your skin. For this, you need an ice cube and you will have to rub the ice cube softly on your cold sore. This will reduce the swelling on your skin and will give you fast healing effects. Repeat the remedy couple of times in a day for best and immediate results. Apple cider vinegar is very well known for its medicinal properties and you can use it to treat your cold sore naturally. The main reason why its recommend to use ACV is because of its antimicrobial nature which will enable your body to fight and kill the virus which has caused the cold sore and will give you quick relief from the pain. Here, you need to take a cotton ball and dab some apple cider vinegar in it. Now, apply it directly on the affected skin at least 2 times a day and it will help you get rid of cold sore fast and naturally. You may not like the pungent smell of garlic but you cannot ignore its therapeutic properties and healing potentials. Garlic is one easily available ingredient at every household which can treat many health concerns, and the problem of cold sore being no exception. It is a natural antiseptic with antiviral properties which will kill the virus and cure your cold sore easily. To gain the benefits, you need a small garlic clove which you have to crush and directly apply on your cold sore. Do this 2-3 times daily for best results. Alternatively, you may also consume raw garlic every morning on an empty stomach for its long term benefits. Pure vanilla extract has got great medicinal value and it is one of the easiest and best natural ways to get rid of cold sore or fever blister. The reason behind its effectiveness is the presence of alcohol in it which causes disruptions for the virus to thrive and grow which in turn, lessens the cold sore and does not let it go worse. Take a cotton pad and soak it in pure vanilla extract and apply directly on the cold sore. Keep it for few minutes and then remove it. For quick healing, apply it 4-5 times in a day and experience the results yourself. The antimicrobial nature of salt is not unknown to us thanks to the several studies that have been performed on it and it is this property of salt which will help you treat the cold sore. It will fight the virus and reduce the viral infection which in turn will give you relief from the swelling and the pain caused by cold sore. You just need to take a small pinch of salt and apply it on your cold sore using fingers, but make sure to wash your hand properly before you apply this remedy. Hold it for around 30 seconds and then remove it. Do this 2-3 times daily to get rid of cold sore easily. Another ingredient which is great to treat cold sore is witch hazel. The vital reason behind its efficiency in curing cold sore is its antibacterial and anti-inflammatory properties, which has already been proven by science. It is also a natural astringent that will effectively heal the inflammation caused due to the cold sore and will also lessen the pain quickly. The process of application is pretty simple. You need to take a cotton ball and dab it in some witch hazel. Now, you need to apply it directly on your cold sore and let it dry naturally. By applying this remedy once or twice a day will help you get rid of cold sore fast. However, if you have a very sensitive skin, then I would request you to do a little patch test before applying it directly on the affected skin. This is because witch hazel may irritate sensitive skin and it is thus always better to be sure if it suits you. You may be confused as to how milk can help you in getting rid of cold sore but if studies are to be believed, milk possess antibacterial and antiviral properties which can fight the virus and treat the infection effectively. Plus, milk is a good moisturizer and is very soothing to your skin. Take 1 tablespoon of milk and soak a cotton ball in it. After that, apply that directly on your cold sore. Hold it for few minutes and then remove it. This is a great remedy and so if you do it every two hours, you will be able to get rid of cold sore quickly. One of the best ways to get rid of a cold sore (fever blister) fast is by using the licorice root. It is mainly recommended because it contains an acid called glycyrrhizic which will inhibit the virus from developing and growing. To speed up the recovery process, licorice root can be used together with petroleum jelly. You need to arrange for some licorice root powder and 1-2 tablespoons of petroleum jelly. Mix the two ingredients well and make a gooey paste out of them. Apply the paste on the cold sore after that and let it dry. Repeat the remedy several times a day for fast healing of the cold sore. Cornstarch powder is a great remedy to deal with cold sore because it effectively reduces the swelling of the sore. It also helps in relieving you off the itching that often accompanies the cold sore and hence it is a wonderful remedy for cold sore. Here you need around 1 tablespoon of cornstarch powder and mix it with adequate water to form a paste. After that, you need to apply it evenly on your cold sore and allow it to dry for a few minutes. Then rinse it with water and see the benefits yourself. Aloe vera has been used in several health and beauty complications since ages and you can also use it to treat your cold sores. The reason behind its effectiveness is because aloe vera is a great antiviral agent which will fight the Herpes simplex virus (HSV) and treat the sore fast. As per studies, Aloe vera gel also possess anti-inflammatory characteristics which will reduce the inflammation and have a soothing effect on your skin. Take an aloe leaf and extract the gel out of it. Then using a cotton ball apply the gel directly on your cold sore. Do this several times in a day for quick healing of cold sore. Drinking echinacea herbal tea is one of the best and natural ways to get rid of cold sore or the fever blister quickly and easily. The reason behind it is drinking echinacea tea helps in strengthening of your immune system and hence gives your body the strength to fight the infection causing virus very efficiently leading to fast healing of the cold sore or the fever blister. Take 1 echinacea tea bag and steep it in a cup of boiling water for around 10 minutes. After that, drink the tea while it is still mildly warm. Drinking it 2-3 times in a day will give you fast effects. In case you do not find the tea, you may eat 300 mg echinacea supplements three times in a day. However, stop drinking the tea or consuming the echinacea capsules soon after your cold sore or fever blister has healed. Over to you: how do you get rid of cold sore? Cold sores or fever blisters are a very common problem. They are mostly contagious and painful, so the fast you take aids to cure it, the better for you. While taking medications is always safe, you can also go for the natural remedies to start your treatment the moment you notice the blister. Using natural anti-microbial agents can kill the virus and stop the sore from worsening. Nature has gifted us with many ingredients which possess therapeutic potentials. Long ago, when science was not that developed, it was these natural products that have helped mankind through thick and thin. So the healing power of some of these natural ingredients can never be underestimated. Well, it is Herpes Simplex virus which is the main culprit behind the occurrence of cold sore. But there are other factors like too much stress, excessive sun exposure, hormonal fluctuations etc. which can also trigger the occurrence, so you will have to be a little careful and take care of yourself as much as possible. We have already discussed about 15 of the most efficient, easy and natural home remedies to get rid of cold sore or fever blister. 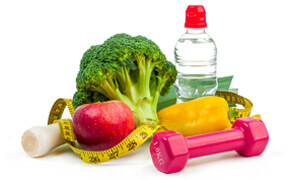 These remedies are very simple and do not require any additional efforts on your part for application. And, the best thing about using these remedies for cold sore is that the ingredients are easily available and in most cases, you already have them in your home. So whenever you notice a fever blister, you can start using some of these remedies and cure the fever blister fast and naturally. Are you suffering from bad cold sore or a fever blister? Then it is time you try some of these remedies to get rid of cold sore fast and naturally. Have you tried any of these remedies or any other remedy to treat cold sore? Which remedies work worked best for you? Feel free to share what you do to get rid of cold sore? Until then, stay safe and stop the contagious cold sore from spreading.